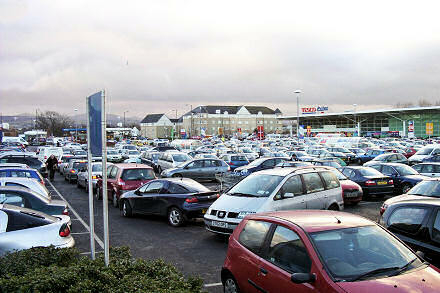 A long queue of cars at a standstill waiting to get out of the Tesco car park today. Despite still feeling physically wobbly and weak, I felt that it would have been rude not to get Jane and my brother something for Christmas, and with a couple of cheques to pay into the RBS my mind was made up. Hmm… But should I take the car down or not? It’s not far, about 1 mile, but I’m wobbly. I could just park nearby on a side-street at the bottom of the road. But what if everyone has thought that? In the end I wrapped up warm and headed out, having hunted unsuccessfully through the house for my winter hat. Turns out, it was in my coat pocket all along! Prong rock! But I knew that anyway, I just wanted to tell you that. The RBS are still open on Christmas Eve-Eve – I half-expected them to close at midday. And weren’t nearly as busy I expected they would be. But then, most people are probably out spending their money, rather than paying it in. I forgot about lunch … d’oh! Tesco was busy. Very busy. Last year I was speaking with someone who works at our local Tesco who said that in the days leading up to Christmas they were taking in over £1,000,000 a day. 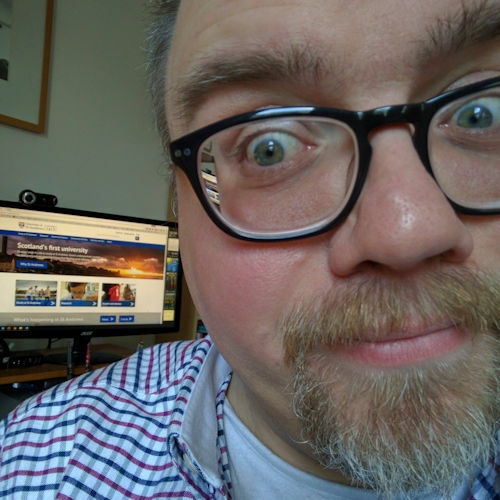 Over one million pounds each day?! That’s incredible. But then our local Tesco is the size of a small town with a car park that any half-decent factory in Detroit would be proud of. I’m glad I didn’t take the car in the end. The roads were congested, the car parks were worse-so. And I got a bit of exercise, to boot. Come the New Year I must find a healthier way to balance life. More exercise, less chocolate. More cycling and public transport, less taking the car. That’s the plan. Ah … thanks for that. 🙂 I got another email from a kind gentleman who also told me about it. That’s what I get for buying the single at Tesco — but I wasn’t feeling well enough to brave walking another couple of miles to Virgin Megastore at the Gyle Shopping Centre. Still, hopefully, it will still count to help keep Nizlopi at number one tomorrow. I have started a new shopping portal – http://www.topestore.com where I have made my all endeavors to keep the prices highly competitive & a stores directory namely http://www.safeshoppe.com, where you can find all occasion gifts. I would thank the community here for their suggestion/advices. Please do not consider this a spam.